The Windows 10 May 2019 Update, as we’ve just found out it’s called, is entering the very final stages of testing, and Microsoft has just released a new version of the latest Build 18362 containing some important fixes – including the solution to a glitch which could render a PC unbootable. This sounds like a relatively unlikely to occur issue, of course, but given the fact that it makes the computer unbootable, it’s obviously of paramount importance to address. A further pair of less pressing bugs were resolved, including an issue with sign-in that affected Azure Active Directory users. 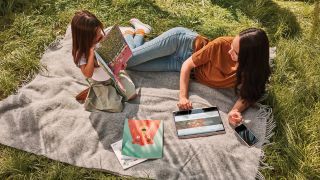 Microsoft is set to push the May 2019 Update to be available in Release Preview next week, which represents the ‘production-quality’ version of the OS. And as such, we can likely expect a further flurry of cumulative updates and bug squashing such as this effort, as the final polish is applied before Release Preview hits. What’s interesting here is that the actual rollout of the incoming update won’t begin until late May, as Microsoft has decided it is “taking further steps to be confident in the quality of the May 2019 Update”, and that this includes “[increasing] the amount of time that the May 2019 Update spends in the Release Preview phase”. That extra time will be used for thorough testing and proactively obtaining more early feedback about the final version of the update, Microsoft notes, effectively applying a fine-tooth comb to look for any major issues before the broad rollout starts. In other words, Microsoft wants to make sure the May 2019 Update doesn’t end up anything like the woeful October 2018 Update, which had a disastrous rollout that at one point sunk to the all-time-low of pausing the whole process for a month due to a critical bug which involved file deletion. So it’s no surprise, really, that Microsoft is determined to take its time here, and squash any bugs that look like they could shape up to be showstoppers, such as rendering a computer unable to boot. And there’s more good news on the Windows 10 front with the incoming update, as Microsoft has also decided it will allow users running the Home version of its desktop OS to delay installing updates, a very welcome change indeed. Furthermore, better overall transparency with update practices has been promised, as the company clearly realizes it needs to do better here.